Overwhelmed with grief? It is entirely normal to feel overwhelmed with grief, it is a natural and human response to loss. To understand why overwhelm and all the confusion and feeling of helplessness that comes with it we need to understand a little about how our brains function. Our brains create pathways every time we do something and the more, we do something the easier it is for the brain to travel along this pathway without you even thinking about it. To better understand this, think back to when you were learning to drive. You’d never driven before so your brain didn’t know what it was doing, it had to concentrate, to focus, you couldn’t cope well with distractions because you were focusing so much on learning, until you did it more and more. Every time you had a driving lesson, every time you got behind the wheel your brain was creating a pathway known as the neural pathway. The more you drove the deeper the neural pathway became until you could drive and talk at the same time, you could drive without much concentration at all. Today you most probably get the car keys out now you don’t even have to think about driving, the brain associates those keys with driving, and it knows what to do, it becomes automatic. Now you probably drive from A to B and not even remember much of the trip at all. Grieving is the same, your brain doesn’t understand it, it doesn’t know how to respond there isn’t a pathway for it to follow so it becomes confused and overwhelmed. It knows your reaction to sadness, however as grief is a new response it is just like learning to drive, the brain needs to create a new pathway. 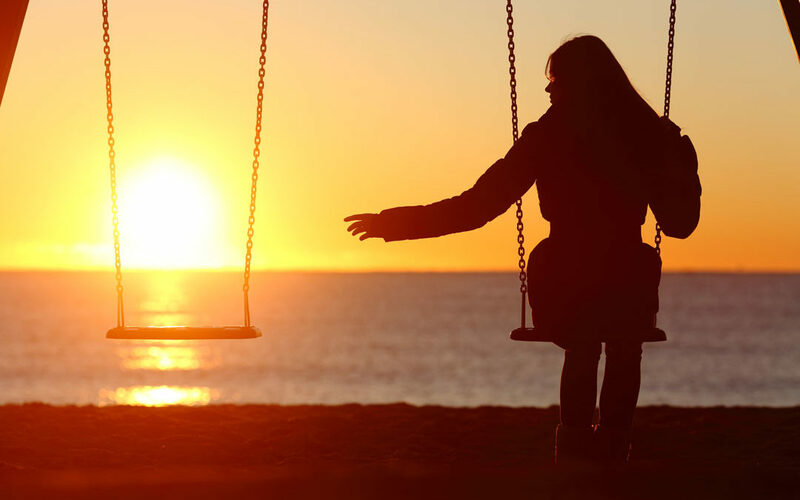 Grief is well known to affect people emotionally, through immense sadness, we all know that grief is a time that causes many tears through overwhelming sadness. What is not so well known is that it can also affect us not only emotionally it can also affect us both physically and spiritually. It is important to understand that not everyone will experience all responses, some may experience quite a few and others may not experience many at all. There are so many variables to how and why people respond to grief that it is hard to list them all. What needs to be understood is that what you experience is normal. Grief is a normal response to loss. There are many ways to support yourself during overwhelm. Mindfulness is a fantastic technique to support you through grief Mindfulness simply means ‘Noticing your emotions without judgement’ and is great way of noticing how you’re feeling and acknowledging those emotions. Giving yourself permission in a given moment to go “you know I feel sad, I feel overwhelmed and that’s ok I have every right to feel this way”. By acknowledging your emotions, you take away any judgement and your mind can then go ok I recognise I feel sad I know that feeling I know I need to cry, and it feels a little better. This is a really simplified description of mindfulness however, mindfulness is a very effective method for grief. A retreat that nurtures and supports you is also a useful way to heal away from well-meaning family and friends and gives you the chance to take back some control of your life, breath and find yourself some understanding of grief, learn methods and techniques that will assist you in the coming days. Seeking support from trained grief professionals is also a great way to support you if you are feeling overwhelmed. Grief professionals understand and can provide support to you in ways such as listening, mindful methods, meditation and other techniques to support you. I highly recommend seeking support early, when you are supported by someone who listens, who will work with you on what methods will work best for you and your personal overwhelm. Seeking support will give you back some control in your life at a time when it feels like you are in a vortex being pulled in so many directions. Remember the longer you stay in deep grief and the emotions around that your brain is making new pathways and often this is where people get stuck. It’s important to remember different methods and support will work for different people. Putting a plan in place with simple goals with what you want to do today, and tomorrow is a start to gaining back a feeling that you aren’t spinning madly out of control. Making small plans, ones the brain can focus on, without too much effort reduces overwhelm by bringing back some control at a time when everything feels so totally out of your control. There’s no time period for grief. Grief is different for everyone, grief never really goes away it becomes a part of you, it’s what you do and how you adjust and work with it that is most important. As the founder of Mind Body Joy, she brings personal insight and professional expertise to help find the positive perspective to overcome and manage a life-changing event. Qualified in Positive Psychology and Wellbeing, and many other qualifications and certifications, to become a truly Holistic practitioner. Joy focuses on the link between mind and body, enabling people to function well, physically and emotionally. She has a specialist interest in people dealing with fear and overwhelm in general or as the result of a life-changing event. And her insight comes from a uniquely personal place. “I began my journey to learn more about the mind and body and joy over 20 years ago when my husband passed away quite suddenly when I was 37 and my children were 12 and 14,” Joy explains. “That moment changed our lives forever. Since that time, I have studied and qualified in many areas of health and wellness modalities with all focusing on what is right in your life rather than what’s not all in line with positive psychology principles. Joy works with people to create a better awareness about their unique mind-body link in the knowledge an individual’s strengths, even during the most challenging times of life, will support them to live the life they desire and deserve. “The connection between your mind (thoughts), body (feelings) and joy (happiness) determines not only your emotions, it also affects your personal and business life,” Joy says. I specialize in helping people through life-changing transition – and grief and chronic illness are major ones. Joy’s expertise extends from setting and achieving goals in business to dealing with devastating news and illness. She encourages people to focus on their strengths and values, making every goal more achievable and sustainable. As a warm, committed and nurturing professional with proven results, her clients range from business owners to individuals struggling to take the next step in life. “Many people I assist are going through a life-changing event that makes them stop in their tracks and leaves their emotions in turmoil. They feel caught up in a vortex of emotions and can see no way out. “I gently support and guide in a constructive manner, as someone who will focus on the positive emotion, their strengths and their values, and support them in a way that will achieve their results. 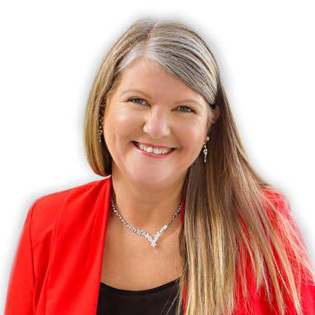 As a sought-after speaker Joy brings her vast range of skills, expertise and her own personal life experiences to connect, support and guide with every audience enabling them to understand their unique Mind and Body and Joy link. Her connection to the audience, no matter the size, feels intimate and nurturing, she will make them laugh, connect to themselves and create ah ha moments in a way that is truly unique. Joy provides specific retreats for those dealing with grief and chronic illness diagnosis specializing in nurturing and providing support to assist people through a time in their lives when everything they ever knew has been thrown into turmoil.